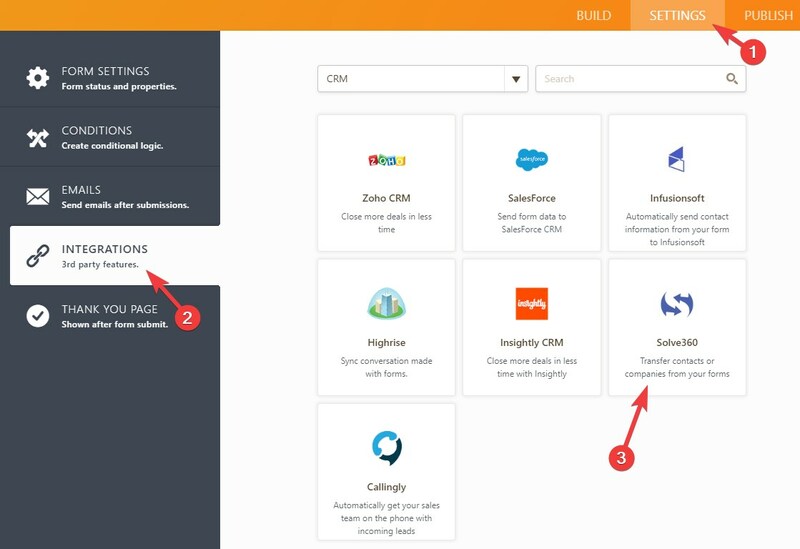 Solve360 is a modern cloud-based CRM with features to manage projects. Solve360 is very easy to setup and use. Solve360 allows you to store all kinds of information in the CRM, and use it as a shared email database. 2. 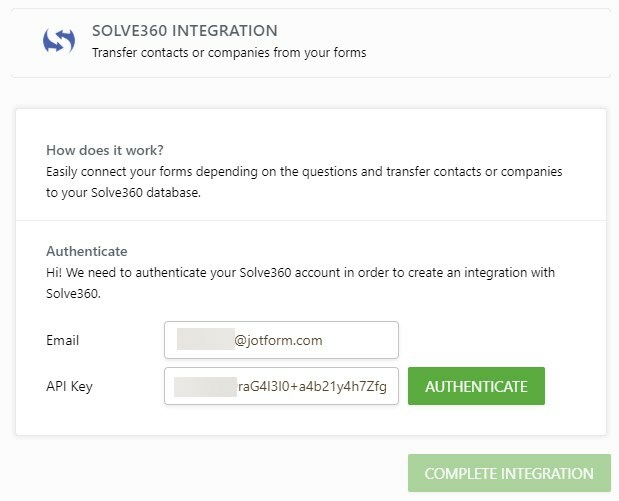 Enter your Solve360 Email Address and API Key. 3. 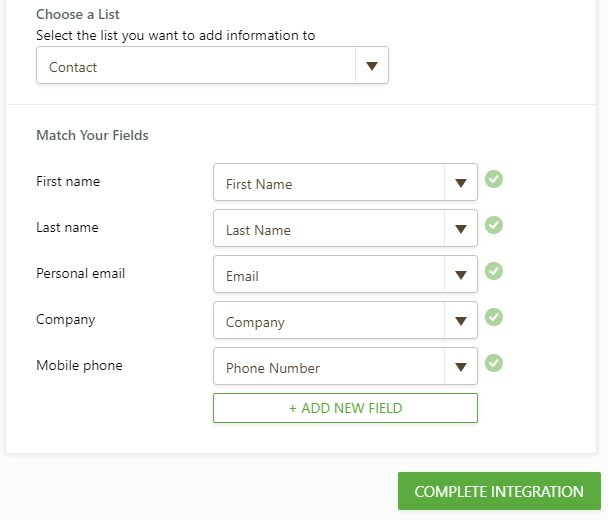 Choose what kind of information you want to pass to Solve360, either Contact or Company then map the fields. 4. Click Complete Integration and that's all. You are now all set with the integration. Hi, has the integration between jotforms and solve ceased? I cannot locate it in the integrations list. Can a campaign in solve360 be assigned to the new record in Solve360 when created? what do you do when the integration feature stops working? I have my integration set to zoho and i get alot of forms in jotform but 1/30 go to my zoho crm... Can you help me with is??? 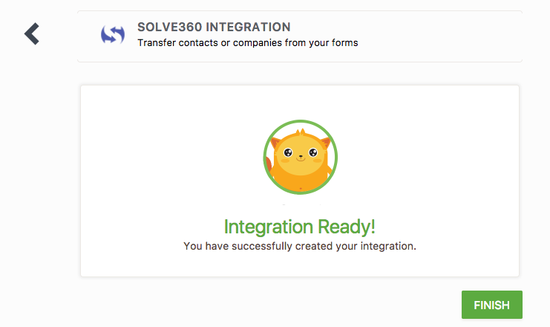 Is integration possible with vTiger CRM? This is a huge factor for us, would be purchasing Corporate level subscription if so. Please respond ASAP.